State Representative Ryan Spain passed Senate Joint Resolution 35 in the Illinois House on Tuesday, March 6th honoring the life of Senior Chief Petty Officer William “Ryan” Owens by designating Illinois State Route 29 in Chillicothe as the “Senior Chief Petty Officer William ‘Ryan’ Owens Memorial Highway”. “This is the most important actions we take in this chamber; honoring our fallen heroes,” said Rep. Ryan Spain in advocating passage of SJR 35 in the Illinois House. “Ryan Owens grew up in the 73rd District, attended Illinois Valley Central High School in Chillicothe and was the first American combat death of 2017. Ryan played football and baseball for the IVC Grey Ghosts and wanted to be a navy seal ever since he was a freshman in high school. He wanted to serve his country and this past January, made the ultimate sacrifice in doing just that,” continued Rep. Spain. Chief Owens was a highly decorated combat veteran with numerous awards and 12 deployments; his awards include the Silver Star, the Navy and Marine Corps Medal, 3 bronze stars, medal of valor, defense of meritorious service medal, 2 joint service commendation medals of valor, and he was posthumously awarded the Purple Heart. Senior Chief Petty Officer Owens is survived by his wife, his three children, and his father. 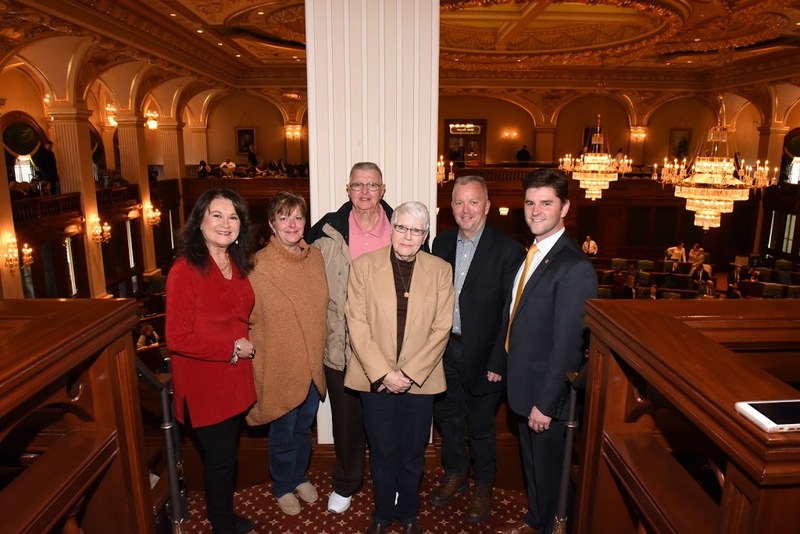 His family members, Mark Garber, Kenny Fauber, Char Fauber, and Valerie Cooper were in attendance in Springfield on Wednesday to witness unanimous House Passage of the Resolution. Senate Joint Resolution 35 was previously passed in the Senate by Senate Chief Sponsor Chuck Weaver (R-Peoria) and Chief Co-Sponsor David Keohler (D-Peoria). Signs designating Illinois State Route 29 in Chillicothe as SCPO William “Ryan” Owens Memorial Highway will be erected in 2018.